Unlike its Iberian Neighbor Spain, Football took some to have a significant impact on its culture and psyche. For decades International Football would be restricted to a handful of matches per year (many against Spain). Naturally Spain started making tremendous strides in Football (on and off the pitch) in the 1950s with the likes of Real Madrid and Barcelona taking center stage. Socially and Politically, Portugal was governed by a Dictatorship and unbelievably was still a Colonial Empire. Throughout the decade of 1960s and into the next, Portugal would fight to hold onto its remaining African Colonies: Angola, Mozambique and Guinea. It was around this backdrop that Portugal’s Football ascent in the modern era took place. Portugal’s entry into the elite of the Football World was not achieved initially at International level but at Club level and by a Hungarian Manager. Bela Guttmann, the Well-Traveled Hungarian Manager, had been appointed as Manager of Lisbon’s Benfica in 1959 just after having led rivals Porto to the League title. In his first season at Benfica, he won the League title as well to gain entry in the Champions Cup that had been the sole property of Real Madrid in its first five years. 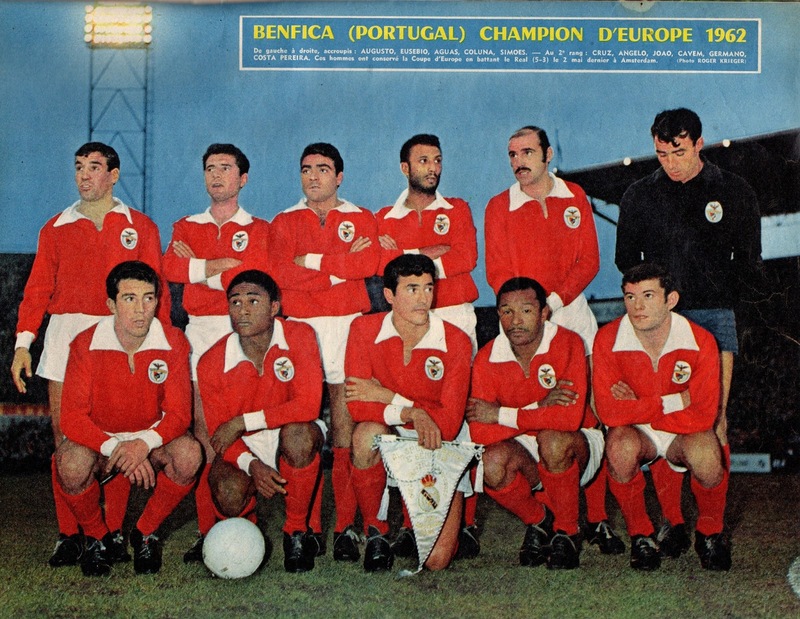 Guttmann led Benfica to the Final of the Champions Cup for the 1960/61 season. The Final on May 31st, 1961 was played in Bern, Switzerland and initially the odds were against Benfica as they were to face Barcelona who had become the first team ever to eliminate Real Madrid in the competition. Benfica contained a host Internationals who would stand out in this decade for Portugal such as goalkeeper Costa Pereira, Germano in defense, Mozambique-born and future Portugal captain Mario Coluna, Jose Augusto and Jose Aguas (whose son would also play for Benfica and Portugal two decades later). Benfica became the first team to win the Champions Cup after Real Madrid by winning (3-2) vs. Barcelona. In that summer, they signed the player who would become the first global Super Star of Portugal. 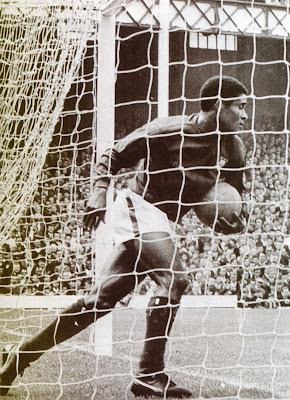 The 18 year-old Mozambique-born Eusebio had been signed rather controversially midway through the previous season. 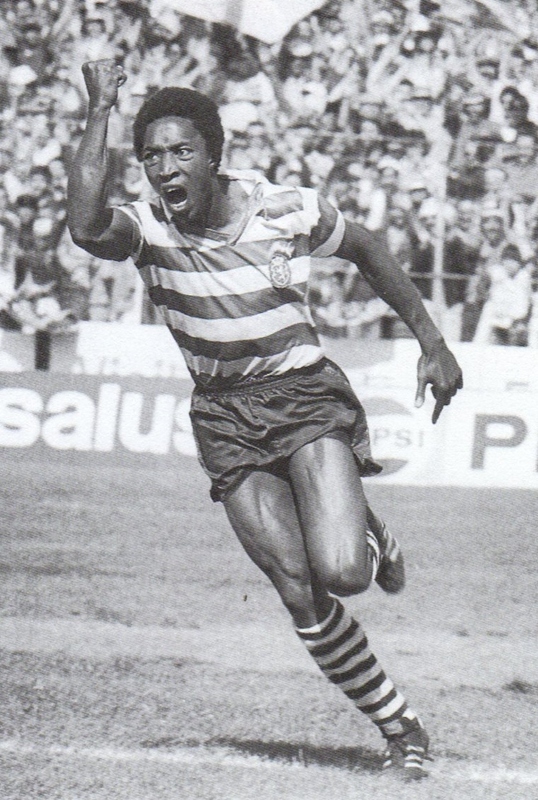 In his native Mozambique he was playing for Sporting de Lourenço Marques that were the farm team of Sporting Lisbon. The Superb striker Eusebio would take Benfica to the next level and become the League’s top goalscorer on seven occasions with countless League titles along the way. 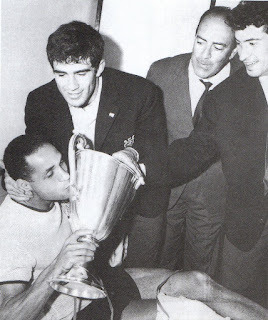 The following season (1961/62) Benfica plus Eusebio once again reached the Final of the Champions Cup. 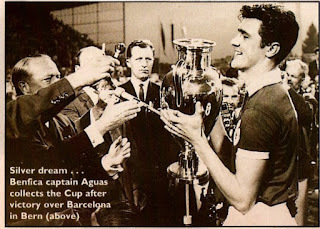 This time they were to face the mighty Real Madrid on May 2nd, 1962 at Amsterdam. Real Madrid took a two-goal lead but Benfica stormed back to win (5-3) with Eusebio scoring twice. He had arrived on the European stage and would become one of the greatest stars of the decade. Eusebio and Benfica would miss out on a third straight title after they lost the following year to AC Milan at Wembley. They would similarly lose Finals in 1965 (to Inter 0-1) and 1968 (1-4 to Manchester United), but had been present in half of the Champions Cup Finals in that glorious decade. Portugal would take another important trophy in 1964 when Sporting Lisbon triumphed in the Cup Winners Cup, defeating MTK Budapest of Hungary. On the International Front, Portugal were not there yet and missed out on qualifying for the 1962 World Cup. In 1965, Eusebio’s consistent brilliance had earned him France Football’s Ballon d’Or award. He was about to seal Legendary status by not only qualifying Portugal for their first ever World Cup Final (1966 in England) but also by finishing Third in that Tournament. 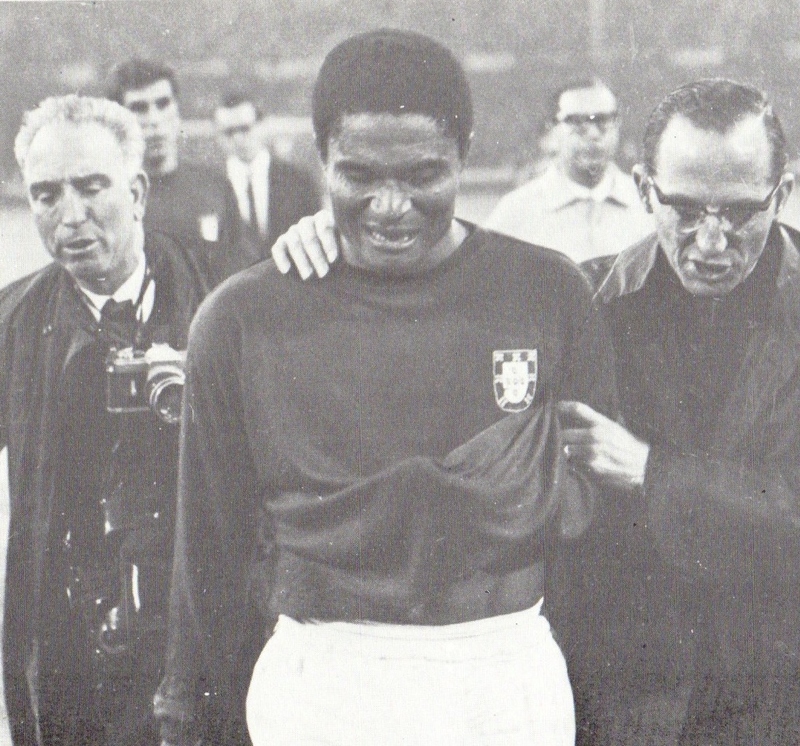 Eusebio led Portugal and became top goalscorer with nine goals. 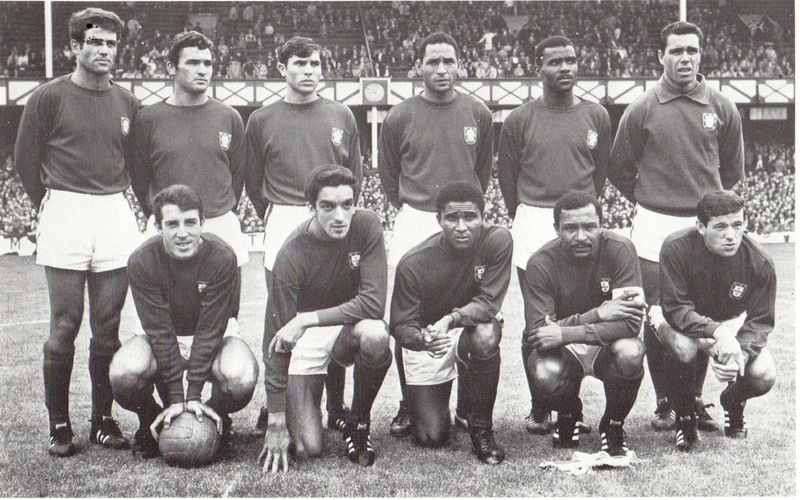 The highlights included victories against Brazil and Hungary in the First Round, not to mention, the magnificent fight back against North Korea in the Quarterfinals, where they fought back from a (0-3) deficit to win (5-4) with Eusebio scoring 4 goals in that match. The backbone of the squad included many of the Benfica players who had shone that decade. 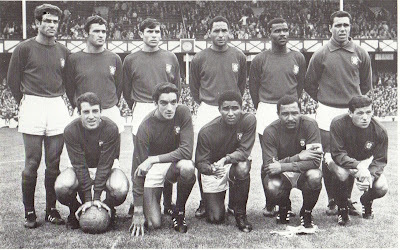 These included: Eusebio, Team captain Mario Coluna, José Augusto, José Torres and Antonio Simões. 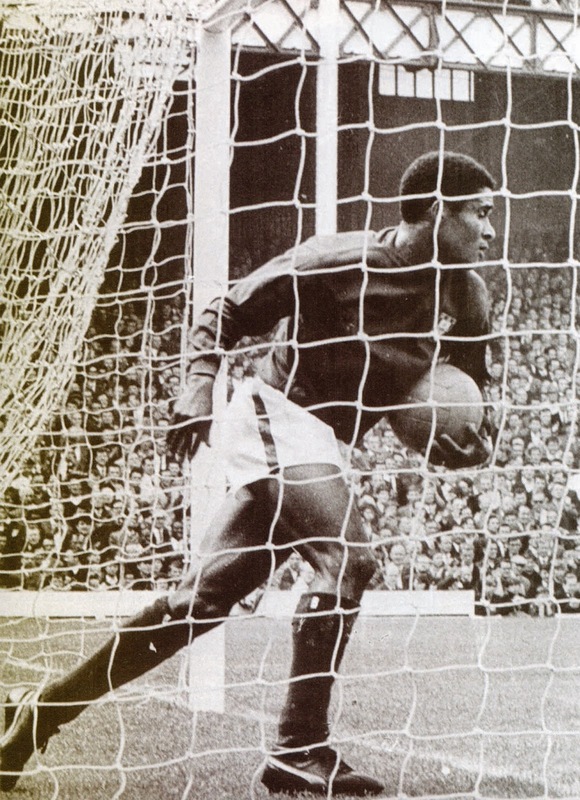 Despite his performances Eusebio lost just by a single vote to England’s Bobby Charlton in the Ballon d’Or balloting for that year. However, Portugal’s greatest success (up to that point) did not act as a springboard to further glory. It appeared to have been the peak for that Generation. The National Team would slowly fall off the pace and miss out on qualifications. The slide would continue into the 70s with an ageing Eusebio unable to stop the decline. Portugal became a second rate Footballing Nation with its National Team and its clubs as well. Benfica and Sporting Lisbon (every few years or so) would win the League title with no credible challengers domestically and would not make much of an impression at European club level. Politically, also Portugal was going through a turbulent time and a Political Coup by the Military in 1974 made things only worse. It was only starting 1975 that the Nation started transitioning into a Democracy and abolished its Colonial rule in Africa. Needless to say, matters on the field were not the primary preoccupation of the masses and that might somehow explain the decline of their Football fortunes. There were some players who made their name in the 70s but none of them could be considered Superstar status certainly not compared to their glorious predecessors from the previous decade. 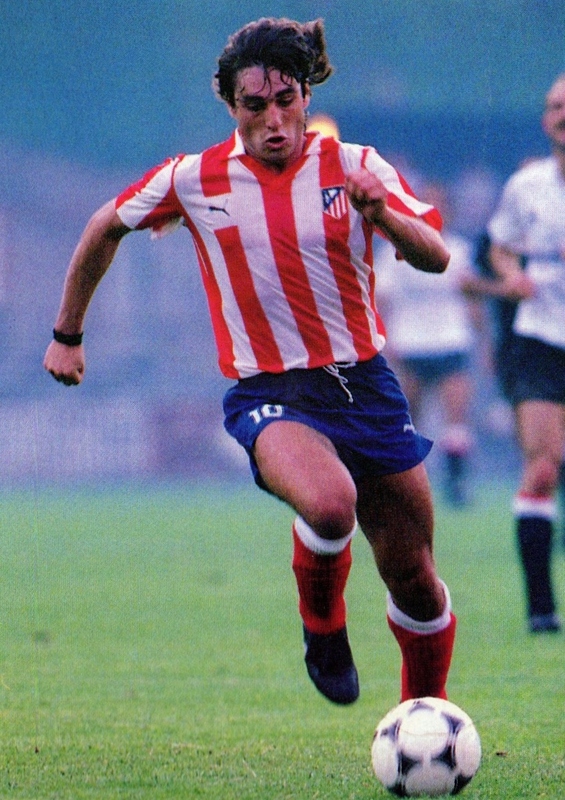 A young midfielder Fernando Chalana was starting to break through that decade. Some players actually joined foreign clubs but for very short spells as none of them made the impact required at foreign clubs. 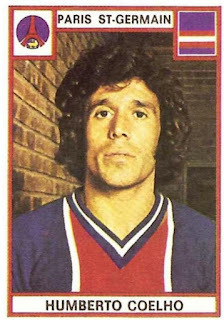 The Black-gloved midfielder Joao Alves played for Spain’s Salamanca (1976/78) and France’s Paris St. Germain (1979/80) . Similarly Humberto Coelho tried his luck with France’s Paris St. Germain (1975 through 1977). Benfica’s Rui Jordao (born in Angola) joined Real Zaragoza (1976/77) before returning to Portugal with Sporting Lisbon the following season. Porto’s Antonio Oliveira also played in Spain for a very short stay at Real Betis before quickly returning to Portugal. Porto’s young striker Fernando Gomes, who had benefited from Peruvian Teofilo Cubillas’ experience at Porto, was also anonymous in his two-season stay at Sporting Gijon (1980 through 1982) before returning to Porto. Along the way Portugal failed to qualify for the World Cup Finals of the entire seventies (1970, 1974, 1978) as well as 1982. In addition they had failed to qualify for the UEFA European Championship Finals of 1968, 1972, 1976 and 1980. Failure to qualify was a common theme often they finished second in their various qualification Groups. The National Team’s fortunes changed for the 1984 UEFA European Championship qualifiers. They were not initially favored in a Group containing the Soviet Union and Poland (that had just finished Third in the 1982 World Cup). However, Poland would struggle and Portugal would take advantage. The Portuguese managed by the Brazilian Otto Martins Gloria would win their first two qualifiers in the Fall of 1982 against Finland (away) and Poland. They were heavily defeated in their next qualifier on April 26, 1983 at Moscow vs. USSR (0-5). At this point the Soviets seemed set to qualify. However, the Soviets would drop a point in an away tie (1-1) with Poland that would come back to haunt them. 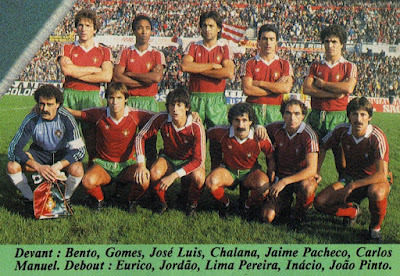 At the same time, a Benfica side led by veterans such as Humberto Coelho and Nene and a Fernando Chalana in his prime reached the Final of the 1983 UEFA Cup. Despite their loss to Anderlecht, Benfica’s achievement was a sign of Portugal’s progress and the rise of a new Generation. 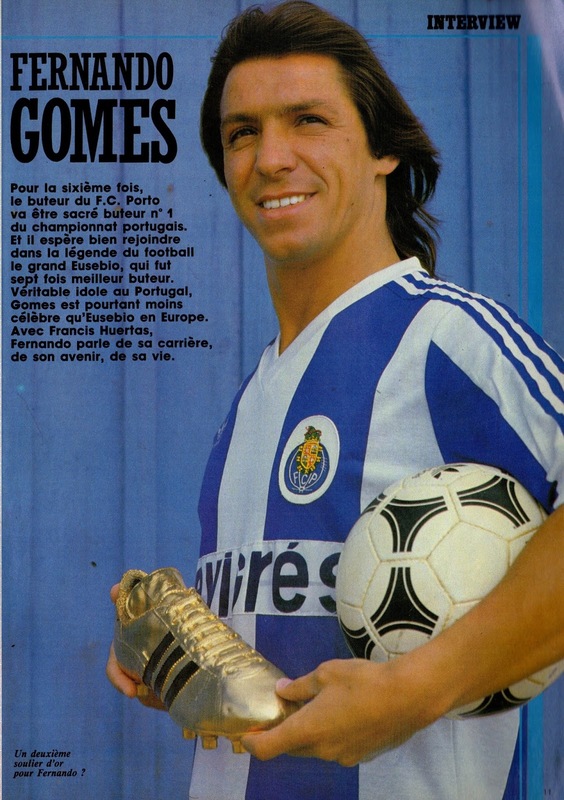 Another major achievement at the end of that season was Porto’s Fernando Gomes winning the Golden Shoe as Europe’s top goalscorer with 36 goals. He was the first Portuguese player to win the award since Eusebio. 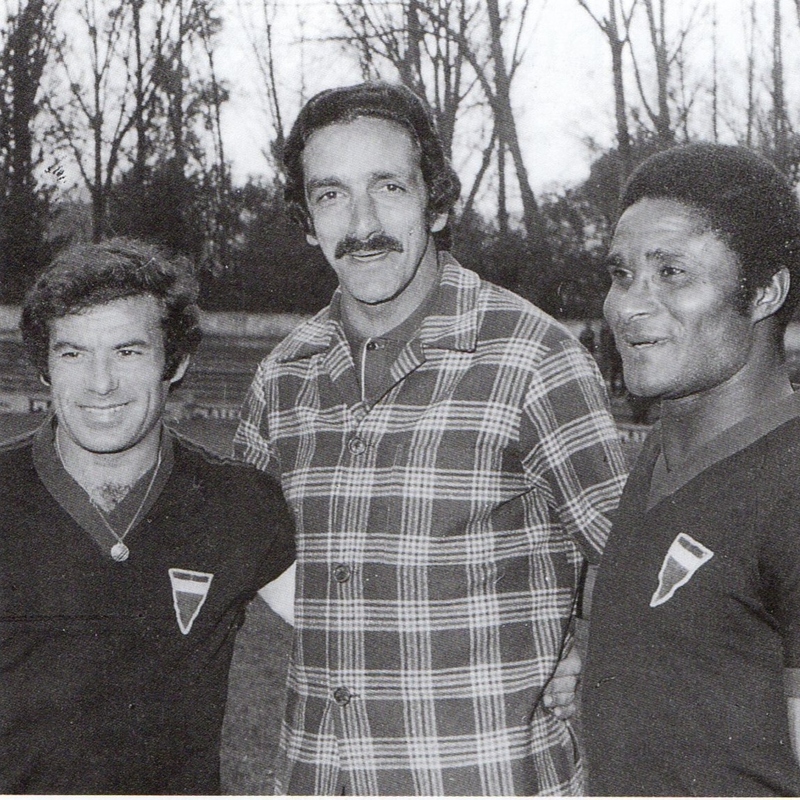 When the new season started (1983/84), Otto Martins Gloria was no longer in charge of the National Team. He had left after the top clubs refused to release their players too many times. The Portuguese Federation appointed a Management Team of four (Fernando Cabrita, Antonio Morais, Antonio Oliveira, Jose Augusto). They would be responsible to qualify Portugal for its first Finals of any kind since 1966. In Portugal’s first qualifier of the season on September 21st, 1983, Finland were soundly defeated (5-0). 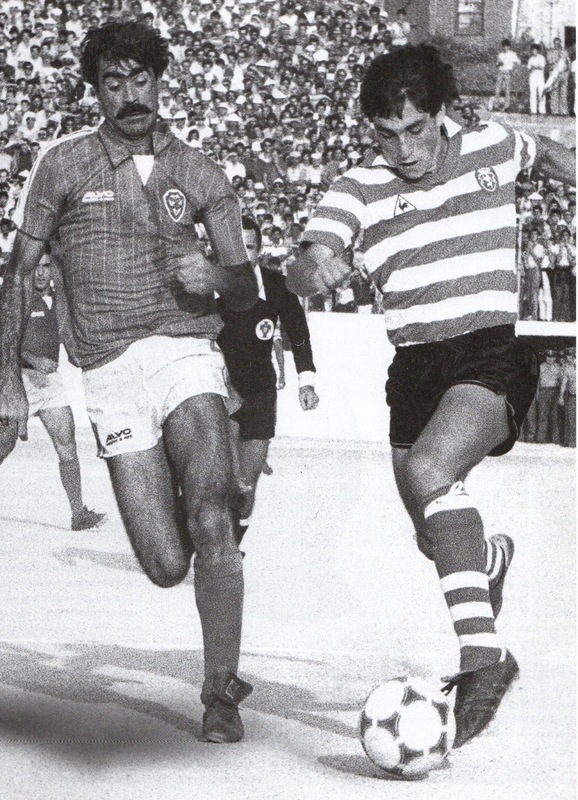 The match marked the debut of Sporting Lisbon’s prodigy Paulo Futre, who at the age 17 years, 6 months and 21 days became Portugal’s youngest ever International. Futre would be the next Superstar of Portugal of the new Generation. 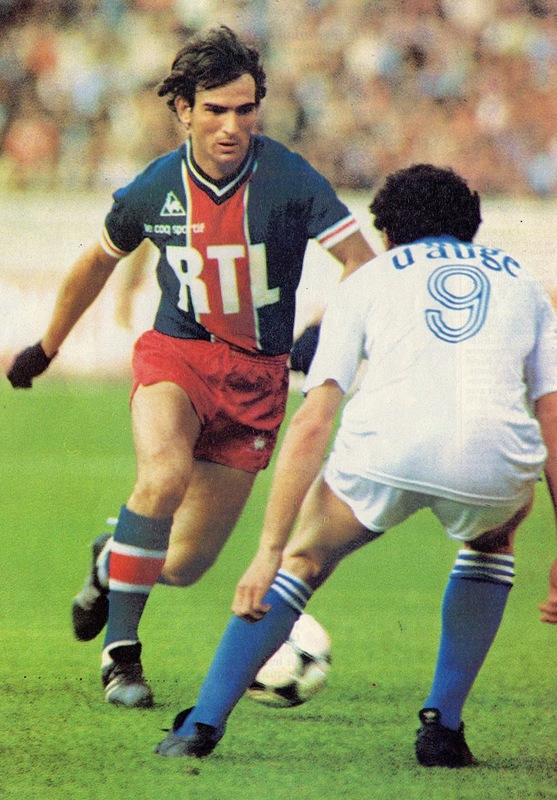 However, he was still too young to be part of the 1984 Euros adventure and unfortunately his brilliance was confined at club level (more about that later). After another win this time away vs. Poland (1-0) in October 1983, Portugal only had to beat the Soviets at home to qualify. They did just that in controversial fashion on November 13, 1983 by defeating the Soviets (1-0) with a penalty kick by Rui Jordao that should not have been given. That season Portugal once again showed its progress in the European club level. 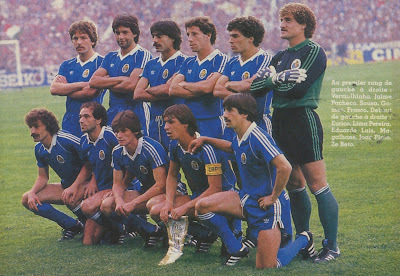 Porto introduced itself on the European stage by reaching the Final of the Cup Winners Cup on May 16, 1984 vs. Juventus. Though, Porto were defeated (1-2) most observers were impressed by their display. This achievement would be launching pad the club needed to get to the next level and they would be THE team in Portugal for the next thirty years. In the League Porto had allowed only nine goals all season. 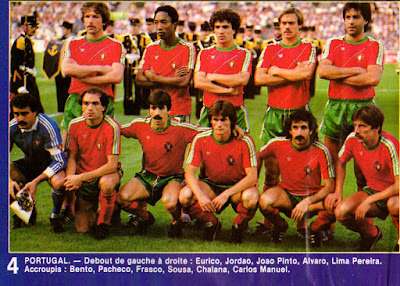 They provided nine players for Portugal’s 1984 Euros Finals squad. Portugal would be one of the surprises of these 1984 Euros. 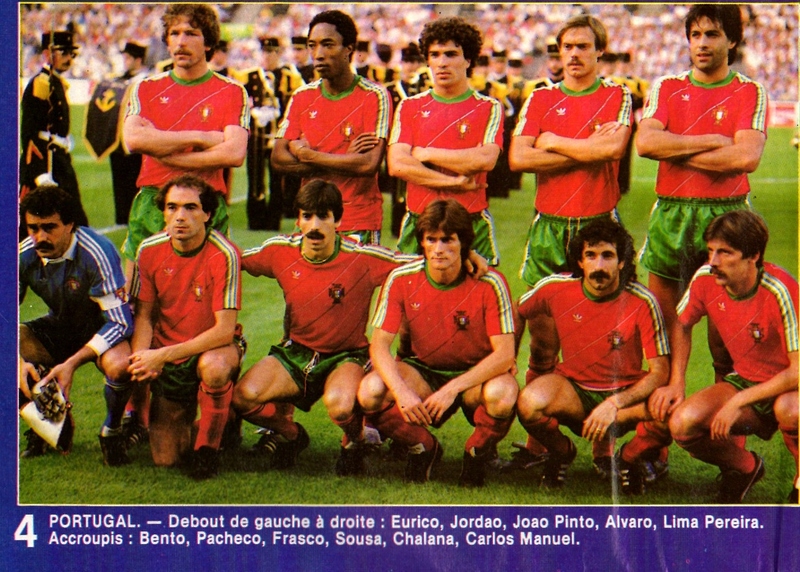 This was the best Portuguese Team since 1966. They reached the semifinals only losing to the hosts France in overtime (2-3). Fernando Chalana and Rui Jordao impressed the most in this first Euro Finals for Portugal. 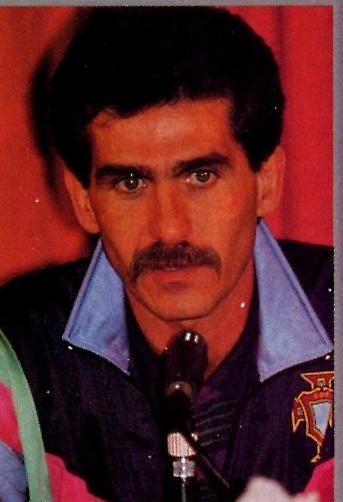 The following season (1984/85), Jose Torres was appointed as National Team Manager to guide Portugal to its first World Cup since 1966. Paolo Futre was now firmly in the National Team set-up and its hope for the future. In the offseason he had joined Porto from Sporting Lisbon and would progress further in a team full of Internationals where Fernando Gomes was scoring freely. At the end of that season Porto striker Fernando Gomes would become Europe’s top Golascorer for the second time (this time with 39 goals). Just like in 1966, the performances of 1984 were the peak of that Generation and not the reference for further glory. Nevertheless, a weakened Portugal did just enough in a Qualifying Group that West Germany ran away with. 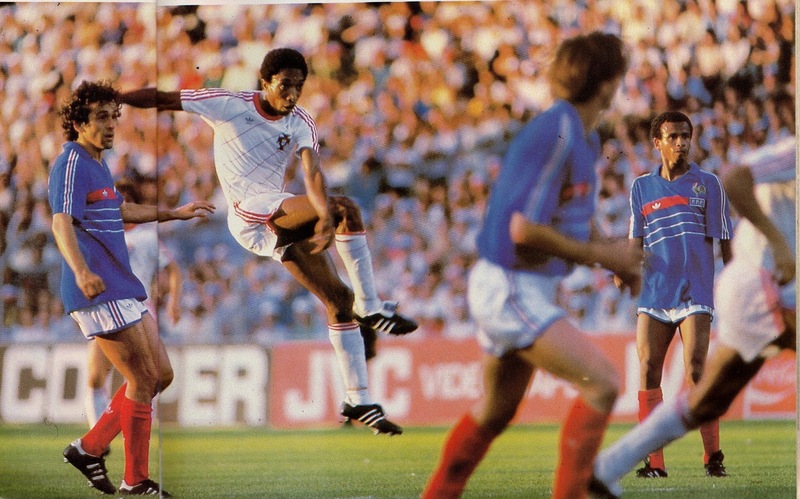 Carlos Manuel scored one of Portugal’s most important goals in their win over West Germany (1-0) on October 16, 1985. The win ensured qualification for the 1986 World Cup, but clearly the team was a shadow of the 1984 side. 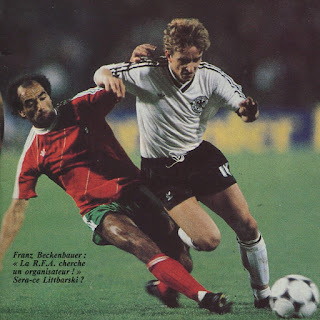 Despite struggling Portugal unexpectedly won its first match in the World Cup on June 3rd, 1986 vs. England (1-0) with another important Carlos Manuel strike. However, after this match the National Team was embroiled in the ‘Saltillo Affair’ (Saltillo was the Mexican City where the National Team was stationed during the World Cup). After a row over Bonuses and other off field issues (enough to write a book about) the Players refused to train between their first and the second games. Two losses were followed vs. Poland (0-1) and Morocco (1-3) and Portugal were eliminated in disgrace. The fall-out from the rebellion was swift. Eight players who were the ringleaders of the rebellion were suspended from the National Team. The other fourteen players in solidarity with the eight declared themselves unavailable for selection. This deprived Portugal of the services of the likes of Futre, Carlos Manuel, Fernando Gomes and Jaime Pacheco among others. This would be the beginning of another era of decline for the National Team. José Torres left his post as well to be replaced with Rui Seabra. Rui Seabara was left with selecting inexperienced and/or recalling older players and the Team struggled in the 1988 Euro qualifications. 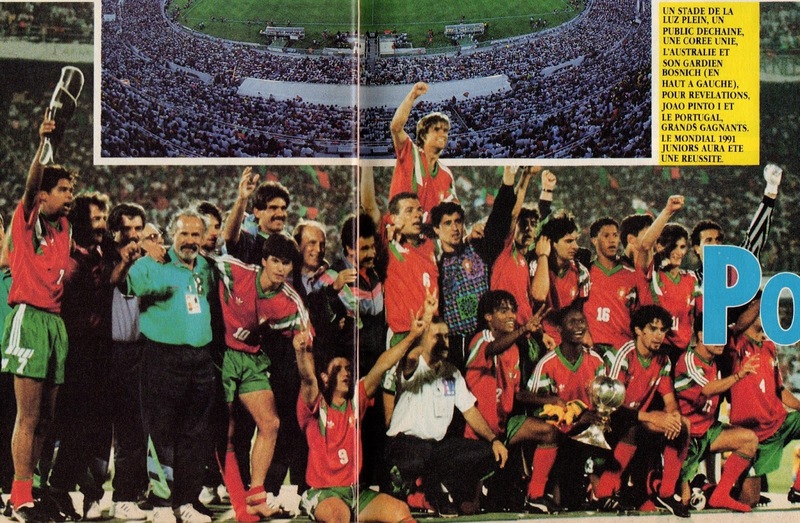 While the National Team suffered, it was at club level that Portugal had its moment of success. A squad led by the respected Manager Artur Jorge and with Paulo Futre in his peak triumphed in the 1987 Champions Cup in Vienna by defeating Bayern Munich (2-1) on May 27, 1987. While this was a triumph for a Portuguese club, it certainly was not for Portuguese Football in broader terms. It must be remembered that the team was flooded with foreign players such as Polish goalkeeper Jozef Mlynarczyk, Algeria’s Rabah Madjer (who scored the memorable back heel in the Final) and a host of Brazilians. In fact there were many Brazilians in the side since in the Portuguese League, Brazilians were considered as Nationals and not foreigners. Paulo Futre rode on the wave of that success to be the genuine star of that Generation. In the summer he joined Spain’s Atletico Madrid. The new controversial Atletico Madrid President Jesus Gil sealed the deal with a yellow Porsche. By the Fall of 1987, the strike had been resolved and a new Manager had been appointed. The new boss Julio Cernadas Pereira ‘Juca’ was able to call upon the likes of Futre and Gomes but it was too late to salvage qualification for the Euros. Porto went on to win the 1987 UEFA Super Cup as well as the Intercontinental Cup to cap off a memorable year. Paulo Futre’s performances for Porto and his new club Atletico Madrid earned him a runner-up position for the 1987 Ballon d’Or election. He finished just behind Holland’s Ruud Gullit. That season (1987/88) Benfica also reached the Final of the Champions Cup but were defeated in the Final by PSV Eindhoven in a penalty kick shoot-out. The National Team would go on and continue to struggle for the 1990 World Cup Qualifiers. So bleak were the prospects that in the Fall of 1988 veterans like Fernando Chalana and Rui Jordao were even recalled to the National Team. By now Futre was joined by another ambassador making it away from home. 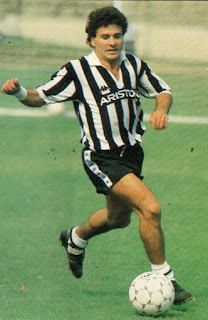 Rui Barros joined Juventus in 1988. 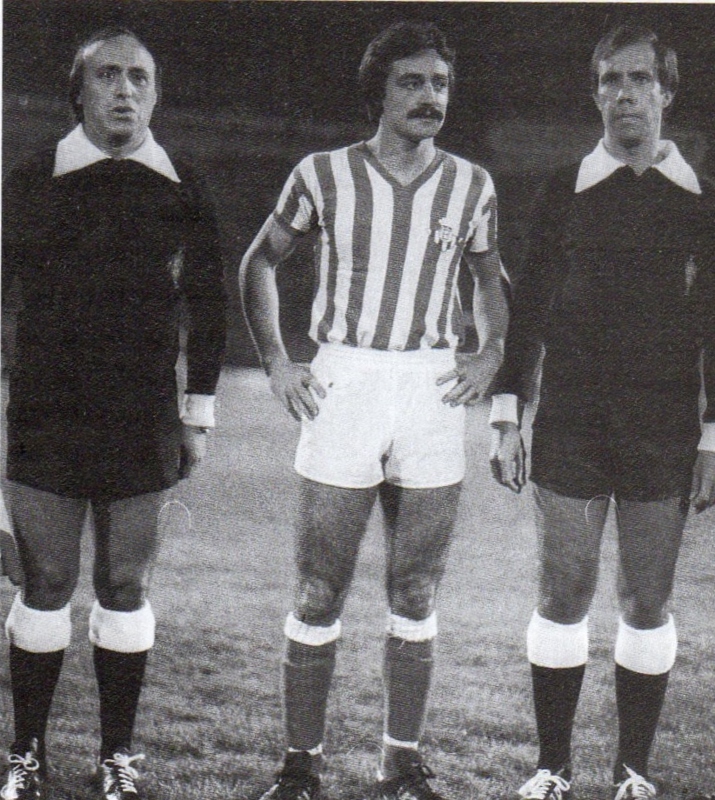 While he was not as brilliant nor successful as Futre he nevertheless would go on to have a satisfactory career outside of Portugal, lining up for Juventus, AS Monaco and Olympique Marseille. While at the senior level Portugal were struggling (save Futre / Barros), the resurrection in their fortunes would take place at the youth level. Of course it would take many years for it to reach fruition nevertheless the roots were set for a brilliant Generation. Portugal’s Under-20 Manager Carlos Queiroz would oversee the rise of that particular Generation. He led the Under-20 Porugal squad to victory in the 1989 Under-20 World Cup held in Riyadh, Saudi Arabia. Portugal defeated Nigeria (2-0) in the Final on March 3, 1989. 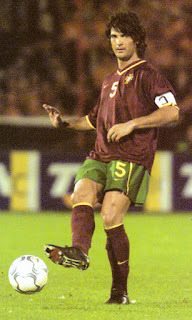 The squad contained players like Fernando Couto, Joao Vieira Pinto who would go on and play for the Golden Generation of Portugal in a few year’s time. Other players in that squad such as Antonio Folha, Jorge Couto and Paulo Madeira would also line up for the National Team in the coming years. 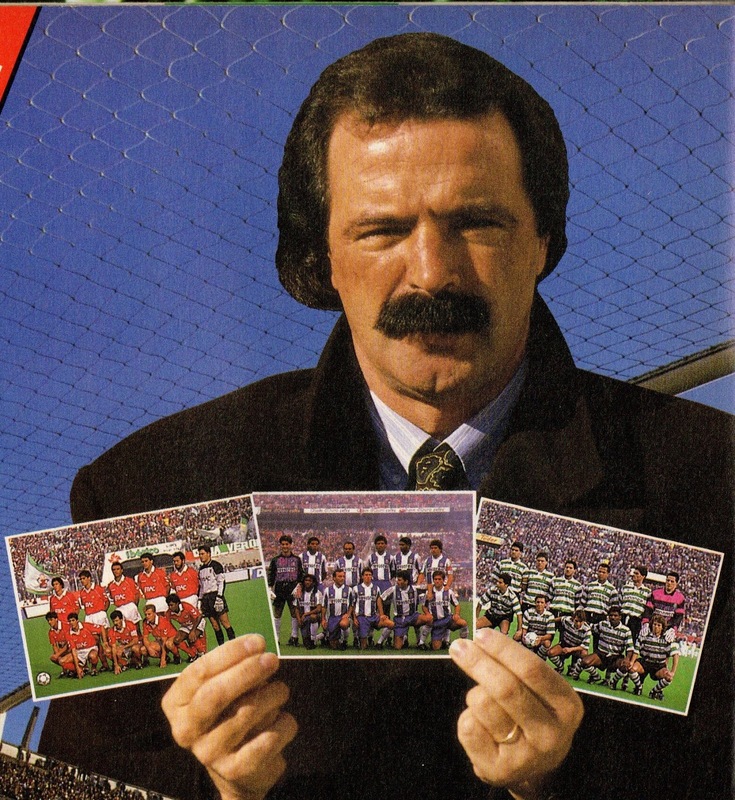 Benfica would reach another Champions Cup Final in 1990 losing to AC Milan (0-1). Despite reaching two Champions Cup Finals, Benfica were mostly dependent on foreign players such as Sweden’s Jonas Thern and Mats Magnusson and many Brazilians such as Ricardo Gomes, Aldair and Valdo. 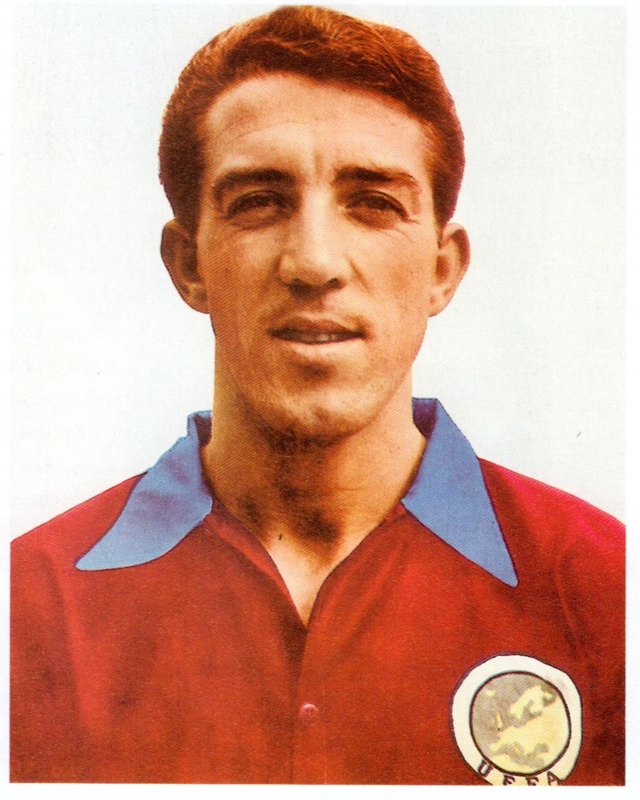 There were not many Portuguese born players who would be standouts at the International level in a manner of a Futre. 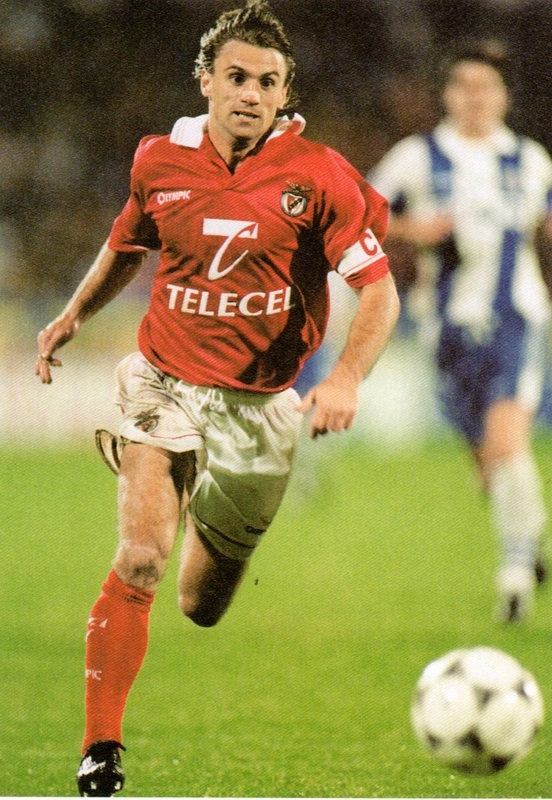 After elimination from the from the 1990 World Cup qualification, Porto Manager Artur Jorge was appointed as the National Team’s Manager with Benfica’s Toni as his assistant. The duo was unable to help Portugal qualify for the 1992 Euros in a Qualification Group containing Holland, but progress was evident. In 1991, Carlos Queiroz led yet another Under-20 squad to win the World Cup in its category. This time the Tournament was played on home soil. On June 30th, 1991, Portugal defeated Brazil in the Final in a penalty kick shoot-out after a scoreless tie. 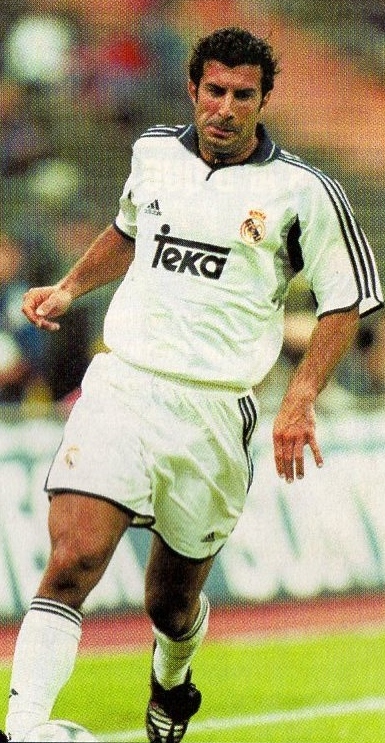 Joao Vieira Pinto was a member of that squad as well and won two Under-20 World Cups. Apart from Pinto that squad contained two of the best Portuguese players of their Generation who would go on to have glittering careers. This Under-20 World Cup would forever be remembered as the one that unveiled Luis Figo and Rui Costa onto the scene. After his successes Carlos Queiroz would be appointed as the National Team Manager of the senior side. He would go on and integrate many of his youth players into the side in the following years. At a time when Futre was slowly fading, Portugal were confident that this new Generation could fill the void. However, success did not come overnight nor did any immediate qualification. Queiroz led Portugal in the Qualification for the 1994 World Cup in a Group with Italy and Switzerland as its main rivals. Once again, despite improvements (including the memorable 5-0 win over Scotland on April 28, 1993), Portugal failed to qualify and Queiroz left. Portugal’s resurgence at the International level started with the 1996 UEFA European Championship qualifiers when the 1991 Generation firmly established itself. 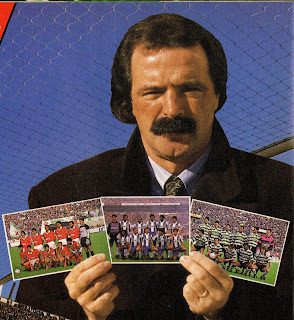 The former Porto and Sporting Lisbon star Antonio Oliveira was now managing the National Team. 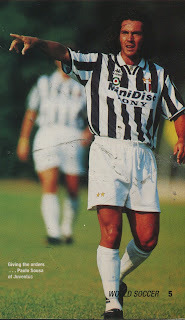 Portuguese players were very much in demand around this time and in the summer of 1994 many joined top teams in Italy. 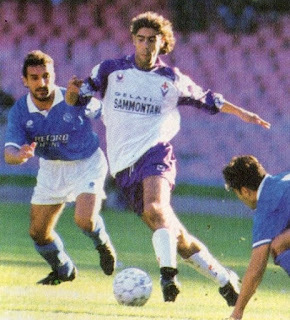 Rui Costa (at Fiorentina), Paulo Sousa (at Juventus) and Fernando Couto (at Parma) were now part of Europe’s elite and all adapted well at their new surroundings. At the end of that season, Sousa had won the Scudetto with Juventus while Couto had won the UEFA Cup (defeating Juventus in the Final). So in demand were Portuguese stars that Luis Figo (with Sporting Lisbon) was contacted and signed contracts with both Serie A rivals (Juventus and Parma). In the end the Italian Federation decreed that Figo could not sign for Italian clubs for two years. Paulo Futre was essentially lost after a serious injury in November 1993 while playing for Reggiana in Italy. He would be out for over a year and a half and even when he returned he was hardly the same player as before (not to mention he was getting older). But it hardly mattered as this New Generation wanted to write its own history. 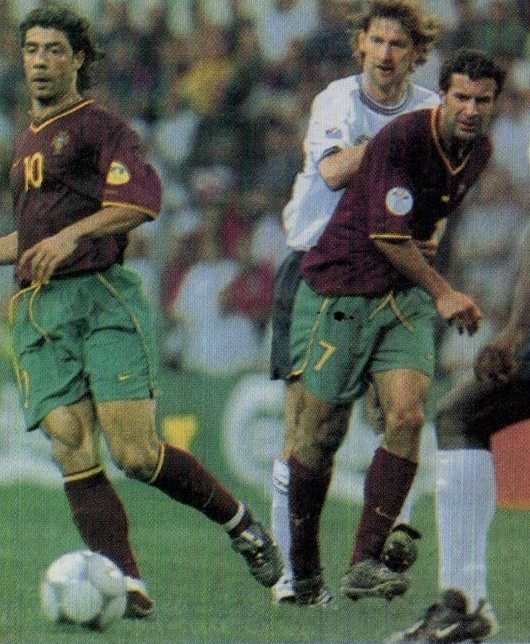 Portugal qualified for the 1996 Euros in England by winning a Group containing Austria, as well as both Irelands. Luis Figo had similarly joined Portugal’s foreign contingent by signing for Barcelona in the summer of 1995. Paulo Sousa made somewhat of a history by winning Champions Leagues in successive seasons with two different teams (1996 with Juventus and 1997 with Borussia Dortmund). 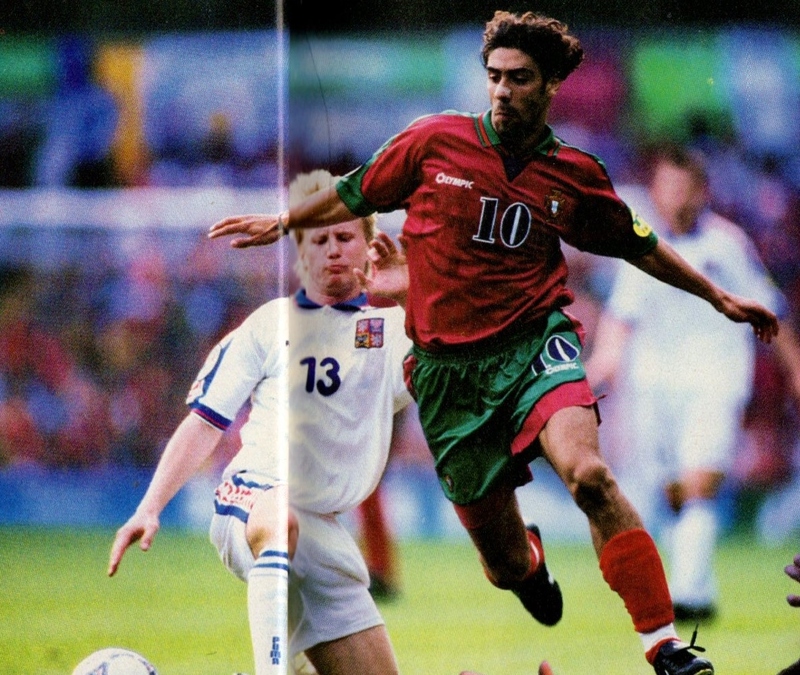 In their first appearance in the 1996 Euros since 1984, Portugal did well and reached the quarterfinals before losing to eventual Finalists the Czech Republic (0-1). After the Euros, Artur Jorge was re-appointed as National Team Manager but despite losing only once in the qualifiers, they narrowly lost out a playoff spot to Ukraine (with Germany winning the Group). Jorge would leave his post to be replaced with another former Portugal star Humberto Coelho. He would lead perhaps Portugal’s best ever squad in the 2000 Euros qualifications. They would comfortably qualify with Romania to play in the Euros taking place in Belgium/Holland. By now (mostly because of the Bosman ruling) the majority of the squad played in Europe’s top Leagues. At this Tournament, the Figo/Rui Costa Generation would be at its zenith. England and Germany were defeated in the First Round. The Portuguese reached the semifinals only losing to the one of the greatest French Teams ever boasting Zidane and Henry. 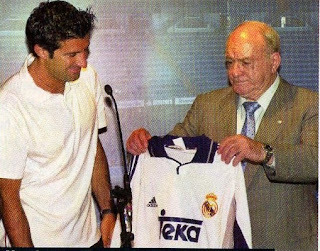 That Summer, on July 24th, 2000, Luis Figo broke the World Record for Transfers by joining Real Madrid in a controversial move from Barcelona for $55 Million US Dollars. By the end of the year he would be awarded the Ballon d’Or becoming the First Portuguese Player since Eusebio to achieve that distinction. Antonio Oliveira was re-appointed as Portugal Manager in the Fall of 2000 tasked with Portugal’s qualification for the 2002 World Cup. Portugal qualified from a Group containing Republic of Ireland and Holland. They went with high hopes at Japan/South Korea with great expectations. This Brilliant Generation were considered as contenders. Unfortunately, Portugal flopped at the World Cup. They lost their opener to the United States (2-3) and the hosts South Korea (0-1) to be shockingly eliminated in the First Round. It appeared Portugal’s best Generation had reached its peak as well and would slowly fade away. 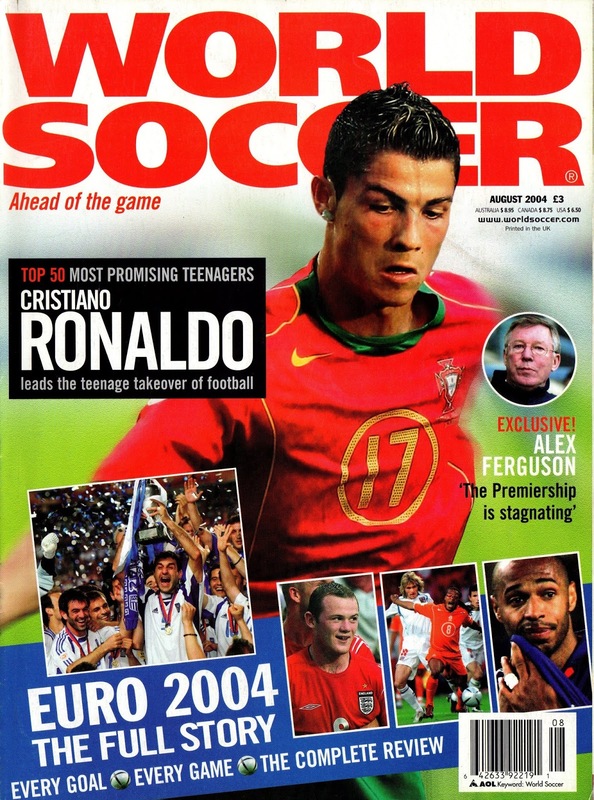 Portugal who were to host the 2004 Euros were intent on winning the Tournament on home soil and felt perhaps the Golden Generation still had one more Tournament left in them. 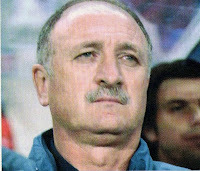 In 2003 Luiz Felipe Scolari, Brazil’s 2002 World Cup winning Manager, was appointed and he gave s shot in the arm to a squad that seemed to have been in decline. In a controversial move he selected Porto’s Brazilian Star Deco, after he had obtained Portuguese citizenship. The move did not go well with some in Portugal, most notably Figo. However, Scolari reminded everyone that he was in charge and would do whatever it took to strengthen his team. Deco helped his cause by scoring in his International debut (against Brazil!!) in a (2-1) win on March 29, 2003. However, the most significant event in Portugal’s modern Football History would occur that summer. A youngster by the name of Cristiano Ronaldo was signed by Manchester United. Manchester United Manager Sir Alex Ferguson had spotted the Sporting Lisbon player’s potential in a Friendly and signed the burgeoning Superstar. 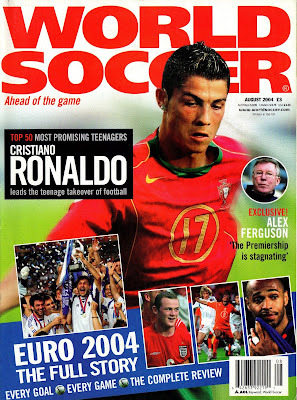 More than a decade after perhaps even he could not have foreseen what Cristiano Ronaldo achieved in the game. The teenager would force his way into the Portuguese squad as early as August 2003 and become an integral part of the National Team. 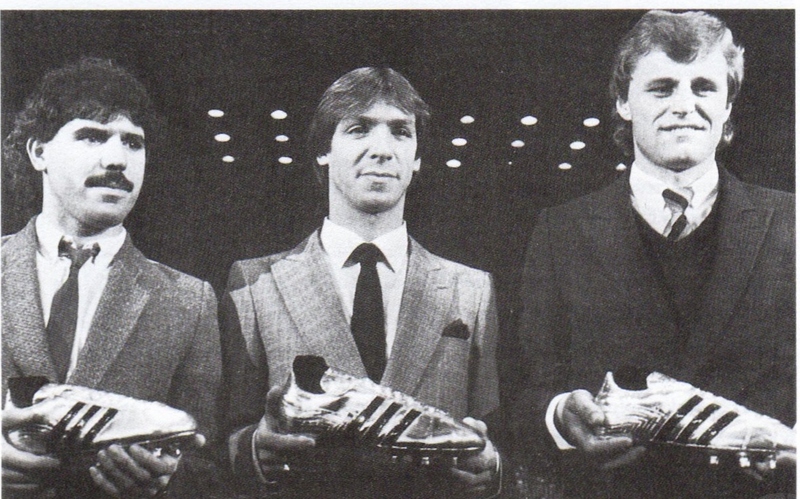 Amazingly in the age of Bosman a Portuguese was excelling on the European Level. A Porto side managed by a then-unknown Jose Mourinho had won the 2003 UEFA Cup. The following year (2003/04) they would surprise the continent by winning the Champions League. Jose Mourinho was now the most in-demand Manager in Europe and would join Roman Abramovich’s Chelsea at the end of that season and would lead it to more glory amnd become one of the most successful (and controversial) ambassadors of Portuguese Football. In the 2004 Euros, Portugal still had Fernando Couto, Rui Costa and Figo as its last link of the 1989/1991 U-20 Generation. This time they were complemented with the emerging talent of Cristiano Ronaldo. 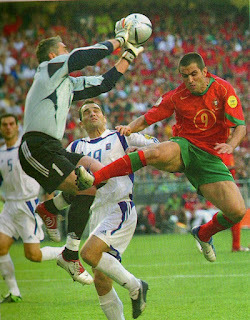 Portugal reached the Final but missed its chance of a First Title by losing to Greece (0-1) in the Final on July 4, 2004. This had seemed Portugal’s best chance ever to win any International title and when they missed out no one could foresee future victories. This was the end of the road for Fernando Couto and Rui Costa who retired from the National Team afterwards. 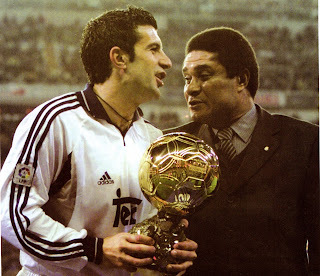 Luis Figo also retired from the National Team in disappointment; however, he would be back after a year in 2005 and help Portugal qualify for the 2006 World Cup. Figo would end his National Team career after helping Portugal reach the semifinals of the 2006 World Cup. Cristiano Ronaldo had improved year after year but he would take another dimension afterwards and slowly become one of the best players in the History of the Game. Cristinao Ronaldo would win the Champions League with Manchester United in 2008. 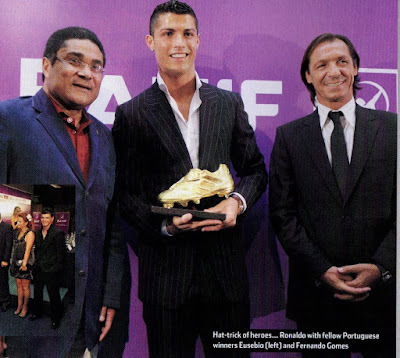 At the end of that year he would be elected as Ballon d’Or becoming the Third Portuguese player after Eusebio and Figo. He would join Real Madrid in 2009 in another world Record Transfer (94 Million Euros). At Real Madrid he would improve even further and would enter into a rivalry with Barcelona’s Argentinean star Lionel Messi to lay claim as the World’s best player. The pair would share the Ballon d’Or for the better part of a decade (still ongoing…). In Addition to two other (and perhaps three) Ballon d’Or awards, he would add two more Champions Leagues trophies with Real Madrid. The National Team would regularly reach the Finals of Tournaments in 2008, 2010, 2012 and 2014 but would make no headway despite the presence of Cristiano Ronaldo. After Scolari’s reign, Carlos Queiroz was re-appointed as National Team Manager and remained until the Fall of 2010, when he was replaced with Paulo Bento. Paulo Bento stayed until 2014 before he was replaced by the pragmatic Fernando Santos. Portugal won its long awaited International trophy by winning the 2016 UEFA European Championships in France with Cristiano Ronaldo as its inspirational Captain. The defensive playing style set by Fernando Santos would be criticized but at this point only victory mattered to a Nation that had missed out on the top International prizes. From Eusebio to Cristiano Ronaldo, passing through Futre and Figo, Portugal went through many ups and downs. These four players are symbols of four different eras in Portuguese Football and in some cases they overlap one another. The late Eusebio represents the nostalgia of attacking Football where the public mostly remembers in black and white highlights. 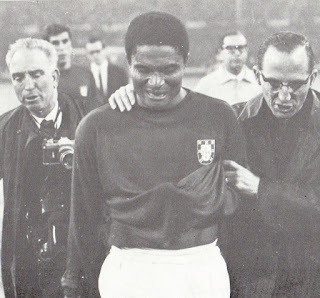 The 1966 World Cup will always be remembered in Portuguese folklore as will Eusebio, perhaps the greatest striker of his Generation along with Pele. After a bleak near two decades stagnation the 1984 squad surprisingly brought Portugal back to the forefront. 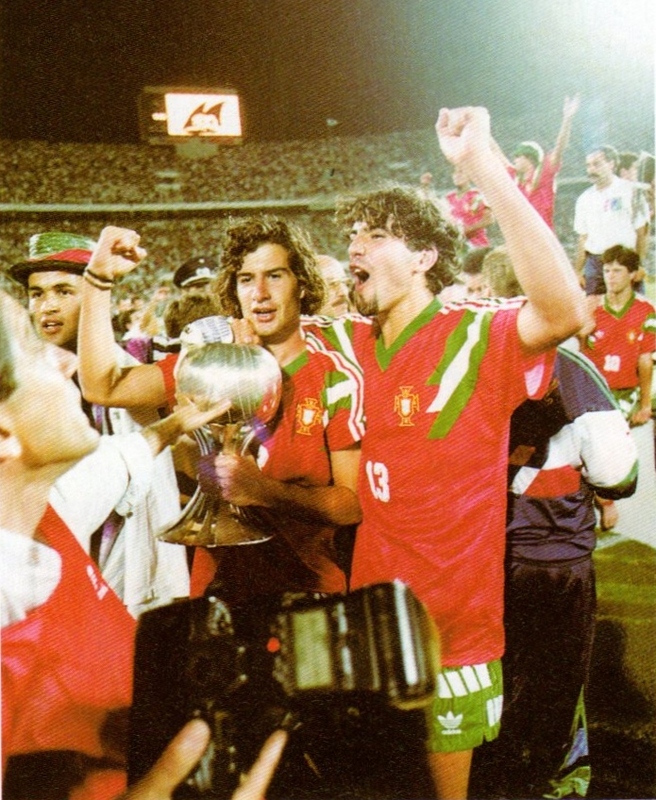 Paulo Futre the Portuguese Superstar of that decade was too young to be in the 1984 squad and by the time of his prime Portugal’s fortunes had fallen. He was essentially a one-man gang more known for his exploits with his clubs rather than the National Team that ultimately in disappointment for him. It is unfortunate he missed on so many International Tournaments at a time when he was one of the best players in Europe. 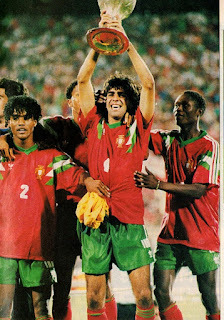 The 1991 Under-20 World Cup is the reference point for Portugal’s best team ever with Luis Figo as its symbol. He was quite simply one of the greatest and most memorable players of his Generation (Portuguese and otherwise). The 2000 Euros squad was perhaps Portugal’s best collective but were unlucky that their French contemporaries had an excellent Generation of their own. Cristiano Ronaldo who out surpassed all of them in terms of individual achievement benefited greatly from the work of his predecessors, especially the Figo Generation. He came through in a post-Bosman era where transfers abroad were commonplace and qualification for Tournaments had become a formality for Portugal. From 1966 to 2016, half a century to win an International silverware and leave a lasting legacy for a small Nation that has managed to produce lasting Legends in the Sport.